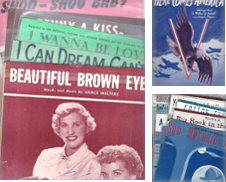 The publication of folio-size sheets of American popular music dates to the late 18th century, but the practice didn't pick up steam until the 1830s, '40s, and '50s. That's when upright pianos first began to find their way into the parlors and salons of U.S. homes. 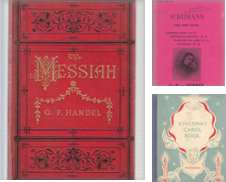 Artists who produced sheet music covers early in their careers, before going on to acclaim for their oil paintings, include Fitz Henry Lane, Winslow Homer, and James Abbott McNeill Whistler. 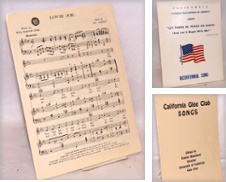 The Civil War was a productive period for popular music compositions and also for beautifully lithographed title pages, most of them published in the North. 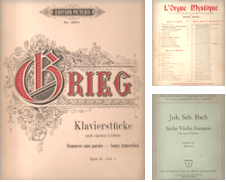 There are also many Confederate music publications to collect-the war-based and illustrated pieces are generally of most interest. 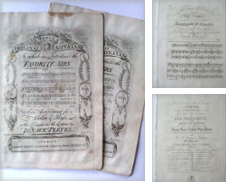 Though paper quality in the South was generally poor, all Southern sheet music is hard to find and desirable. 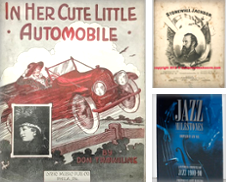 But the truly widespread popularity of sheet music in the United States in the late-19th and early-20th centuries coincided with the proliferation of domestically produced pianos after the Civil War. Up to that point, piano-making had been a labor-intensive craft practiced only by highly skilled workers. Instituting mass-production techniques, U.S. manufacturers transformed this artisan enterprise into a business. 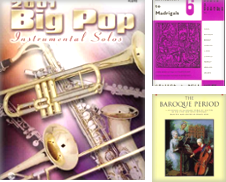 By the end of the 19th century, hundreds of thousands of pianos a year were produced, and every single one of them required many more times its number in printed sheet music. 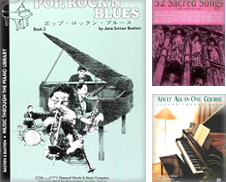 The hub of sheet-music publishing was in New York City on West 28th Street between 5th Avenue and Broadway, a stretch that became known as Tin Pan Alley. For a while, the publishers grouped there were essentially printing money - one 1892 hit, "After the Ball" sold two-million copies in its first year alone. 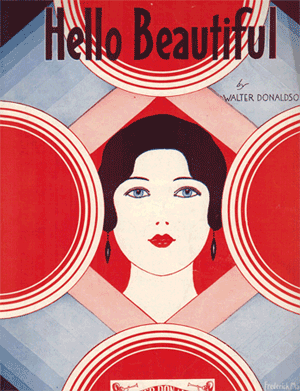 "Sidewalks of New York" was published in 1894, "The Band Played on" in 1895, and "Hello! Ma Baby" in 1899. 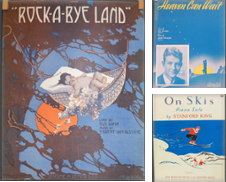 Vintage sheet music is fascinating to collectors not only for its range of subjects, but for its entertaining cover graphics, featuring everything from pastoral landscapes to city street scenes. As such, they are snapshots, albeit romanticized ones, of life at the turn of the 20th century. 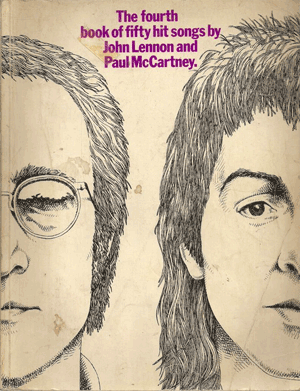 Other people collect sheet music less for the imagery on their covers as the songwriters associated with a particular tune. 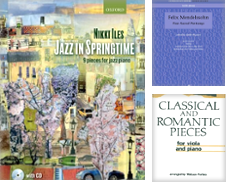 Scott Joplin compositions such as "Maple Leaf Rag" are popular, as are those by George M. Cohan ("Give My Regards To Broadway"), Irving Berlin ("Alexander's Ragtime Band"), and George Gershwin ("Swanee"). 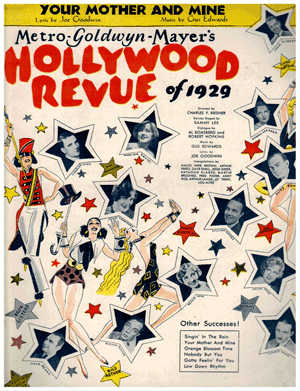 Then, just as the piano had created a demand for sheet music, two inventions, followed by the Depression, brought the glory years of the medium to an end. The first was the introduction of the phonograph, especially the Victrola, which was all the rage in the early 1920s. 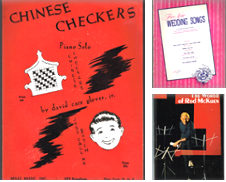 By the end of that decade, though, radios meant people could get their entertainment without lifting a finger, let alone having to gather around the family piano to sing along to sheet music. 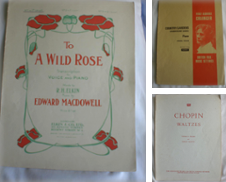 What piece of sheet music would you like to own?